Very good! Its sad in some parts but it also makes you want to keep fliping pages. 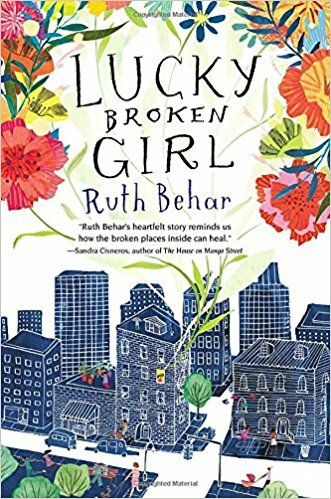 I think the Lucky Broken Girl is amazing book it is about a girl named Ruthie and she moved to New York City from Cuba. At first Ruthie said living here is going to stink but things get better Ruthie gets into the smart class and her dad gets a new car. But then something terrible happens Ruthie and her family get into a bad car accident and Ruthie has to be in bed for a long time. With nothing but her family and friends to keep her company. Read to find out what happens threw the hole time she is in bed. This is a true story about Ruth and she has a lot of trouble in her life. First, she was put in the ” dumb class”. Secondly, she got in a car crash and got in a body cast just because she broke her leg. You can she that Ruth has had a lot of trouble in her life.